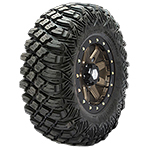 The Crawler XG tire is the newest tire developed by Pro Armor. This innovative tire is engineered to provide unmatched grip, especially on the rocks. It's aggressive tread pattern and 8-ply rated Armor Belt construction provides supreme performance and is highly puncture resistant. 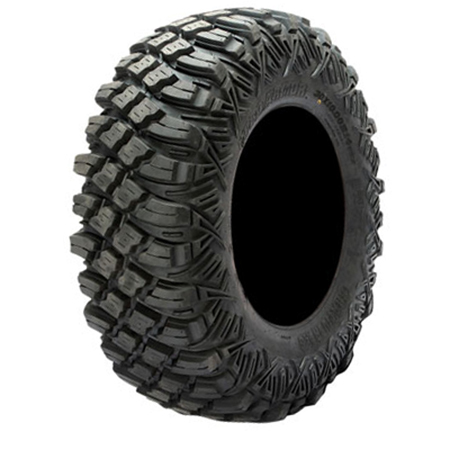 The Crawler XG utilizes a medium rubber compound, excellent for grip. 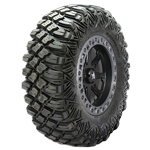 Crawlers have tight yet aggressive tread spacing and square tread profile. The tread also extends on to the shoulder for additional protection. All around a great tire! Armor belt construction and 8 ply rating!